This figure hugging ladies going out dress will make the perfect party dress for the coming festive season. 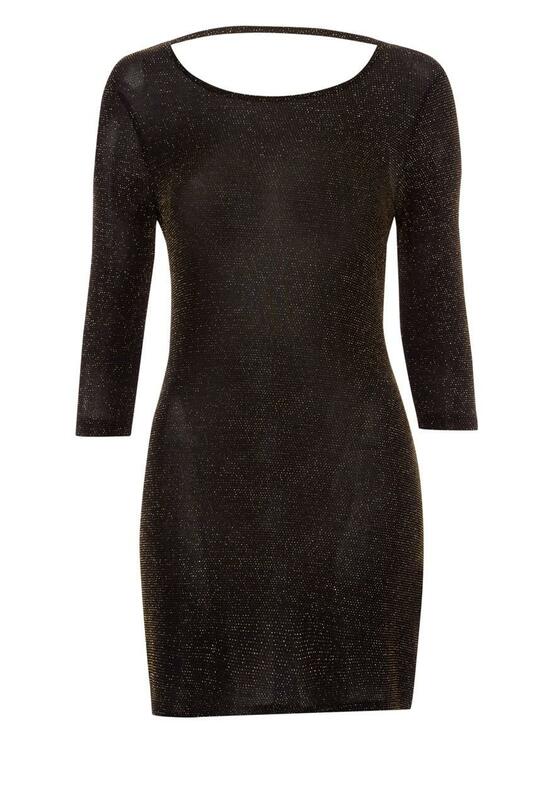 The beautiful fabric has gold lurex thread running through making this eye catching dress sparkle as you move. The scoop cowl back completes the elegant look of this dress.